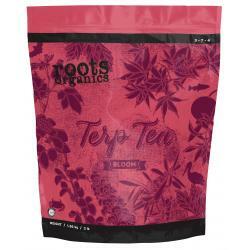 Roots Organics Terp Tea Bloom delivers critical nutrition for heavy-feeding, high-yield plants. Recommended for both large and small-scale gardens, this high-quality dry fertilizer is simple, comprehensive, and completely natural. 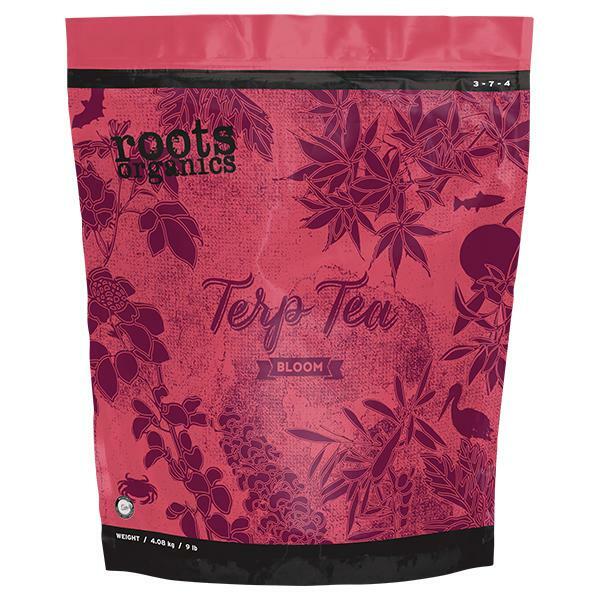 Our powerful one-part grow and one-part bloom formula can serve as base nutrition or as a supplement, and can be delivered in large batches or controlled point feedings. Amend any potting soil with this micronized flowering nutrient to activate the aromatic power of your garden's natural terpenes. 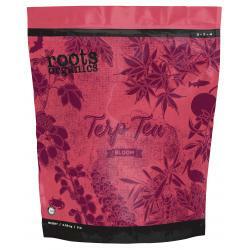 Derived from: Feather Meal, Dolomite, Soybean Meal, Langbeinite, Kieserite, Crab Meal, Fish Bone Meal, Bat Guano and Kelp Meal.